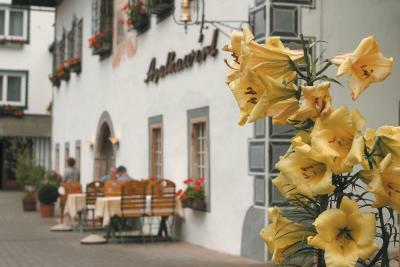 Lock in a great price for Landhotel Agathawirt – rated 8.6 by recent guests! Very helpful staff. 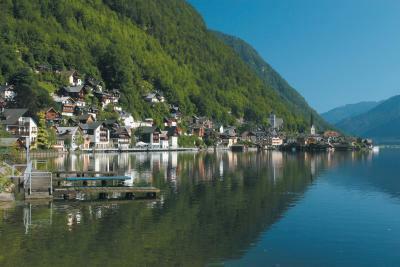 She suggested me to take a bike ride from the hotel to Hallstatt since the next train will take time. 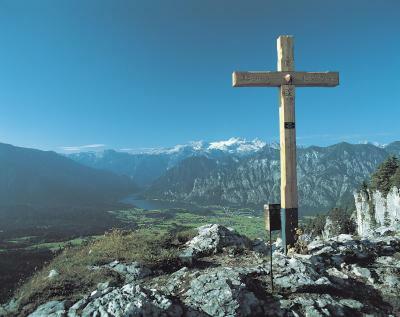 That was indeed my best experience in Austria. I was not able to book a taxi in advance so had to walk going to the train station the next day. I was given a souvenir umbrella since it was raining. I got the room with a balcony and it is really nice. Food is really good too! Owner in staff very gracious, we ate there that night it was delicious also had a good breakfast. Great location and amenities. When used their large assortment of complimentary bikes and helmets to ride the beautiful trail through town and along lake Hallstatt to the UNESCO site. We enjoyed it so much we rode the next morning too. Food in the dining was delicious and a swim and sauna were perfect after the ride. This charming place is about a 15 min drive from Hallstatt, there is a Shell station right on the other side of the street if you need gas/snacks until 10pm. We got a room with a balcony, which is very nice for early morning fresh air. The staff was very nice, and helped us with our luggage bags. The room was quite cozy, and the washroom was fairly modern and large. The breakfast was standard, and the teas there were good. The friendliness and helpfulness of the staff was exceptional, and breakfast selections excellent. We'd go back again, and also recommend it to friends. Breakfast is fresh and with variety choice. The garden view is wonderful. You must borrow a bicycle from the hotel and rode to the village nearby, unforgetful journey! Very comfy bed and room. Nice restaurant downstairs, staff was friendly. Nice quiet area for a walk or a lot of trails for biking. Breakfast was great, plenty of choices and great coffee. 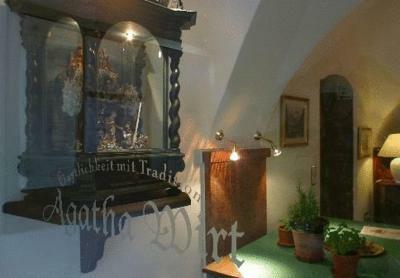 Friendliness of the owner and other staff. We had a lovely big room with balconyoverlooking the garden. 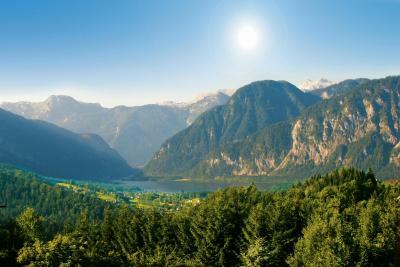 Location is 15min drive to Hallstatt. Clean rooms. A little bit on the old style but nevertheless very clean and doesn’t have that musty smell. Toilet however seems to be newly renovated with modern fixtures. Breakfast is not that much just enough to tide you over. We had a little problem with our 1st room but we was quickly answered at our request to change room. Despite this problem, everything was good. 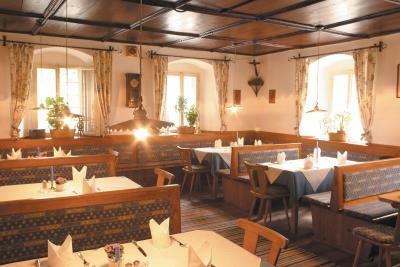 The room is very comfy and clean, the breakfast is excelent with many options of bread, jam and cheese. Landhotel Agathawirt This rating is a reflection of how the property compares to the industry standard when it comes to price, facilities and services available. It's based on a self-evaluation by the property. Use this rating to help choose your stay! 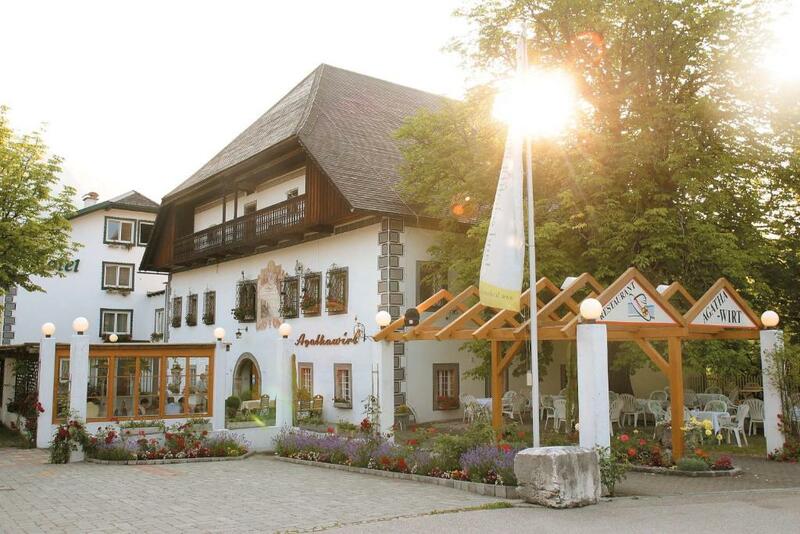 Family-run for over 200 years, this traditional hotel is located in the heart of the Salzkammergut. 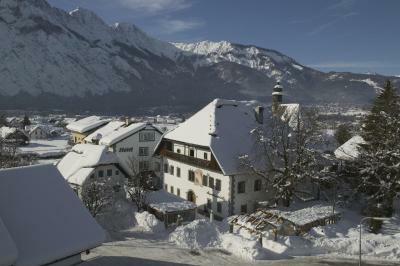 It is close to Lake Hallstatt and the spa town of Bad Goisern. 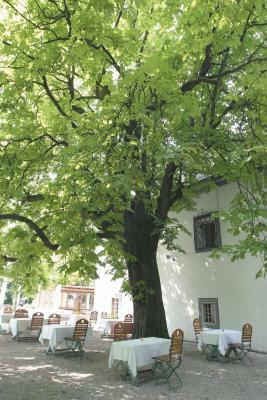 Landhotel Agathawirt consists of a modern wing where the rooms are located, and a historic part from the early 16th century. This part is a listed cultural monument and features restored frescoes, Renaissance windows, marble doorways, and other historic pieces. Agathawirt’s rooms offer views of the mountains or the orchard and free wired internet is available in the hotel rooms and the public areas. 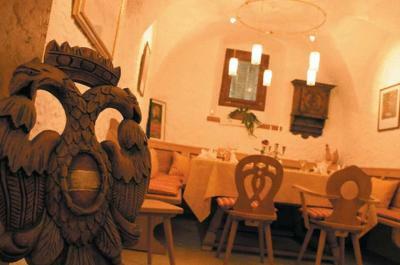 The hotel’s traditional cuisine can be enjoyed in the cozy parlors or, in summer, in the cool garden. 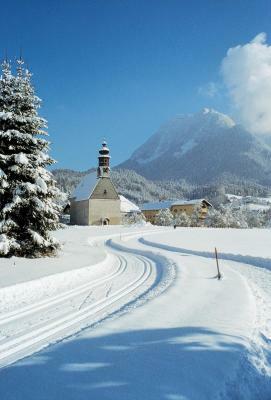 The Gosau ski area is 9.9 mi away from Landhotel Agathawirt. 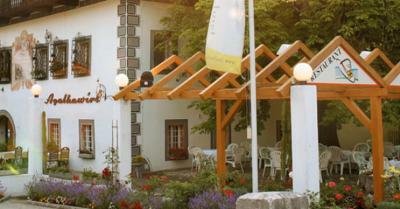 When would you like to stay at Landhotel Agathawirt? Room with a balcony, satellite TV and a bathroom with free toiletries and a hairdryer. Room with satellite TV and a bathroom with free toiletries and a hairdryer. House Rules Landhotel Agathawirt takes special requests – add in the next step! 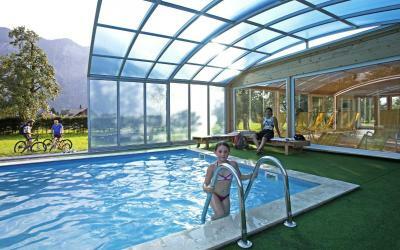 One child from 13 to 15 years is charged 70 % of the room stay per night and person in an extra bed. Landhotel Agathawirt accepts these cards and reserves the right to temporarily hold an amount prior to arrival. Spotlessly clean, excellent breakfast, very friendly and understanding staff. The old cabinets gave me an eerie feeling that kept me up all night. Good thing they started to modernized a bit of the things starting from the bathroom. It’s a bit far from the train station, we paid 10 euros get a cab from train station to the hotel, a little bit expensive. Super comfortable pillow and bed! Good Breakfast! We liked the staff. They were always helful and friendly. We had meals there and were well satisfied. Good lotcation. Easy to visit surrounding sites of interest. Breakfast was good. The internet was good. Towels are super super rough it was like sandpaper. Would be great to replace. We had very loud neighbours that night, and the walls were thin, so we weren't well rested. Fortunately, the staff came to stop that noise around midnight, which made it a little better. Wi-Fi quality is not perfect that could be better. The service and the staff are quite good. They are very helpful of answering our questions in our trip. The cleanliness of room is also impressive.